Leave notes in public for strangers, dream up a tiny imaginary world, summon magic powers, draw a portrait of yourself as a hero, create your own treasure map, or access a secret portal whenever you wish. Don’t you just love getting something unexpected in the mail? 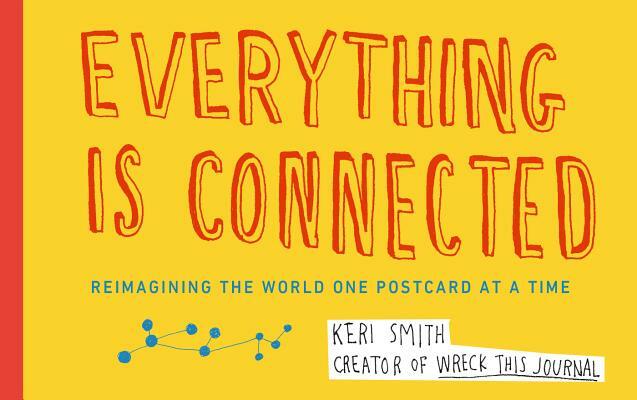 With Everything Is Connected, your mission is to reimagine your world—and the worlds of everyone around you—one postcard at a time. Creative, collaborative, and winkingly subversive, this postcard set is a manifesto, a mission, a game, and an invitation in one convenient package.